With this post, we bid a fond farewell to Summer. It’s started raining and the limes are getting big enough to use, so we thought one final salute to that greatest of all seasons was in order. Having limes ready for picking, we went in search for a suitable cocktail in which to use them. We found, I think, a great outlet for them in today’s tipple, which we found in Jigger, Beaker and Glass—Drinking Around the World by Charles H. Baker, Jr., a reissue of half of his 1946 two volume series, The Gentleman’s Companion. He gives credit “… a lovely thing introduced to us the gracious offices of the late Facuno Bacardi of lamented memory.”, to the folks at Bacardi (then of Cuba) for the creation of the Daisy de Santiago. Daisy’s date from the late 19th century and are basically a little soda water added to a sour (citrus, spirit and syrup). Mix rum, lime juice and syrup with ice. Strain into a Collins glass full of crushed ice. Top up with a splash of soda water. 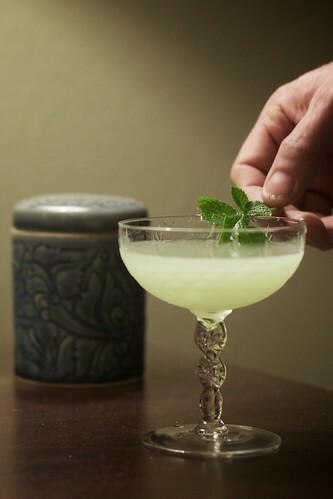 Float the Chartreuse and garnish with mint. As you can tell we deviated quit a bit from the recipe. I was actually going off a recipe in Imbibe magazine, which I later decided was a subtly inferior version. I also used the stronger green Chartreuse ,backing it off to 1/2 oz, a fine substitution especially since I don’t have the yellow. B & I definitely thoroughly enjoyed this one (it’s a sensible riff on the daiquiri, so how bad can it be?) and will definitely be adding it to the rotation upon summer’s return. 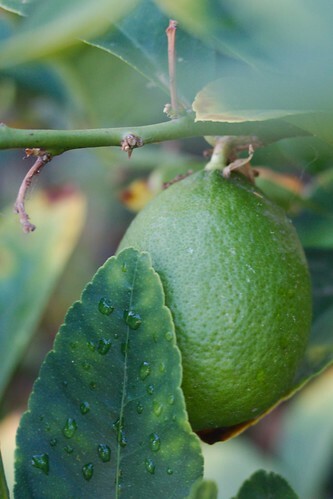 In a lime growing climate, it’s not such an interminable eternity.